Surprisingly, riding to Queens from Brooklyn actually isnt that hard. Hop on to the scrawny Pulaski Bridge and in 5 minutes...youre in a new borough! 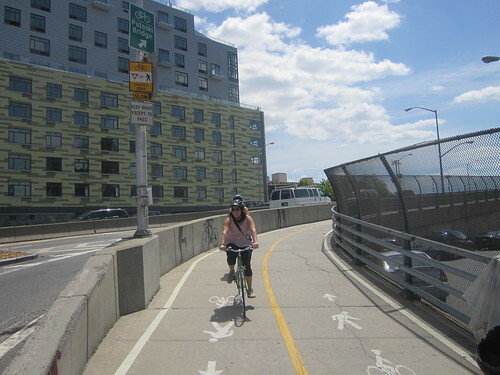 The only tricky thing I could find is that you have to ride against traffic to get on to Pulaski Bridge--but just get on the side walk and youll be fine! 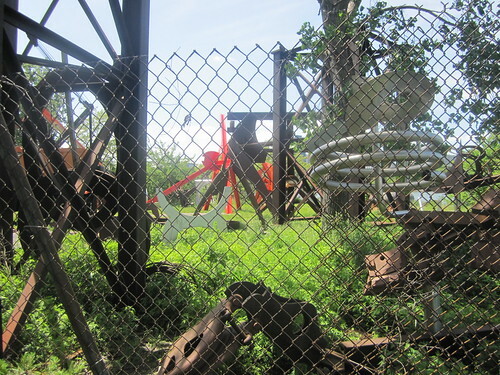 Socrates Sculpture Park off Vernon Blvd. 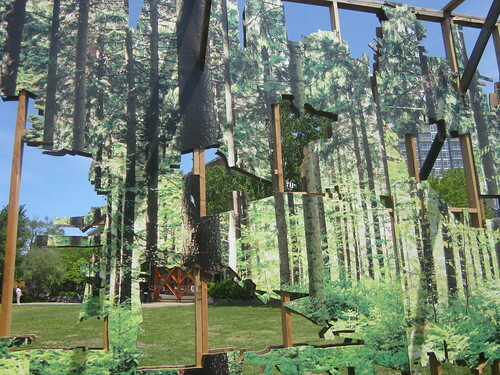 Definitely worth a stop if you can appreciate art! 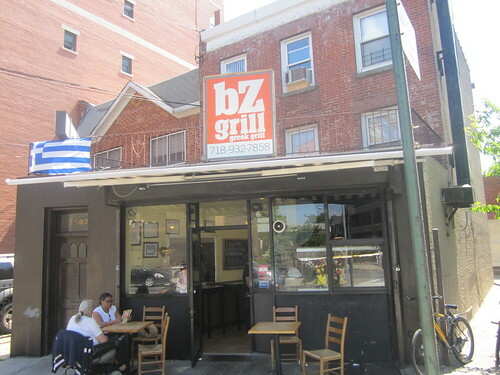 Then ate at BZ Grill for gyros. Clean, friendly, takes credit cards. 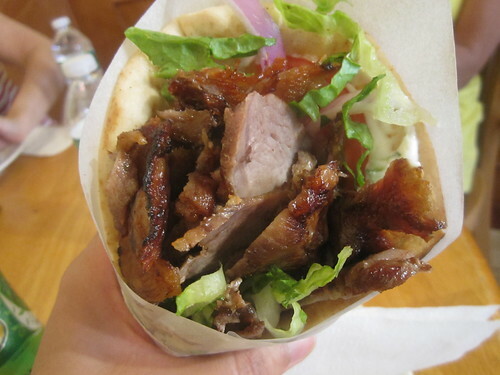 But most importantly the pork gyros were seriously succulent and massive. I could give it 5 stars, except that the pita isnt made fresh in-house. The meat was worth the trek, but in all honestly I dont crave gyros that much. And then to explore more (because how often do we really visit Queens?) we stopped by the HUGE Calvary Cemetery which was eerily beautiful. 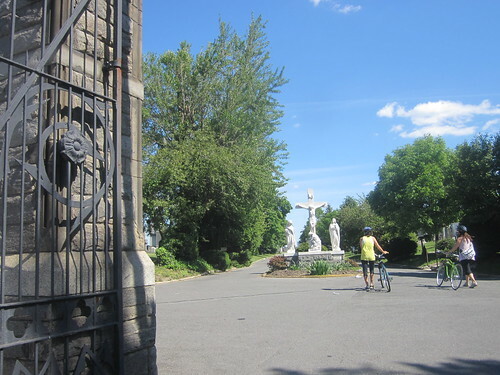 For your reference, thats the cemetery you pass by coming back from JFK/LGA on the BQE. Its one of the oldest and largest cemeteries in the United States; its history goes way back to 1847's cholera epidemic! Then just take Greenpoint Av back into Brooklyn and youre home!